The natural wealth of Pastoriza is huge, among many of them the landmarks the we describe next stand out, CROAS (REIGOSA): It was found 33 years ago, is a human-shaped monument of the Roman era. Today it is on display in the provincial museum of Lugo. BRETON: There are traces of the old basilica and early Christian graves. It is a church with three naves and has many inscriptions, one of which is from the ninth century and refers to the consecration of the ancient temple in honor of Santa María Madre de la Paz. In San Cosme da Castiñeira, there is a chapel dedicated to the saint. The festival is on September 27th. 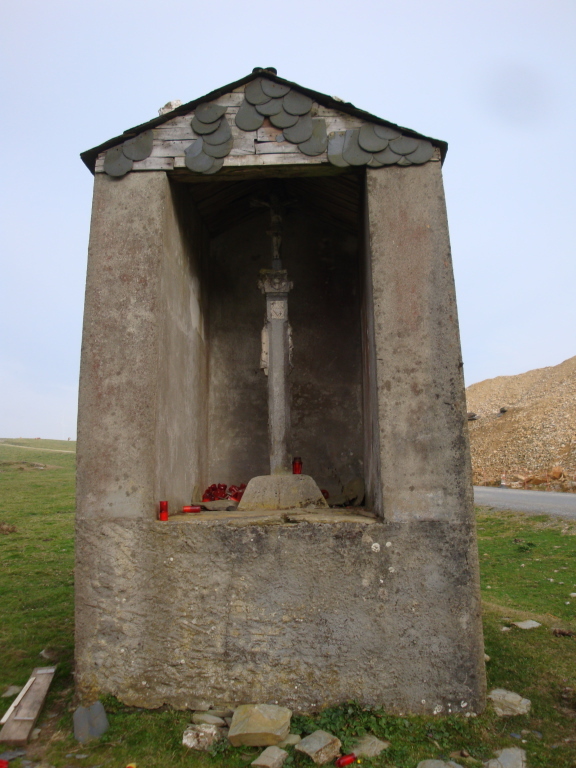 SALDANXE, chapel of San Isidro and source of a miraculous spring, is privately owned. Fonmiñá (the source of the Miño river) In this land the Miño river is born, one of the most emblematic and mighty of Galicia, the source is about 350 square meters, there is a sculptural group representing the “Deus Breogán” created by Magin Picallo and Manuel Mallo in the 1969, and a “cruceiro” (stone cross). The environment invites hiking, mountain biking and horseback riding. ALTAR: (Capela de San Xulián) is next to a miraculous fountain that is said to cure many pains. The chapel was built at the beginning of the twentieth century using the remains of the old church of Vilar Pousada. 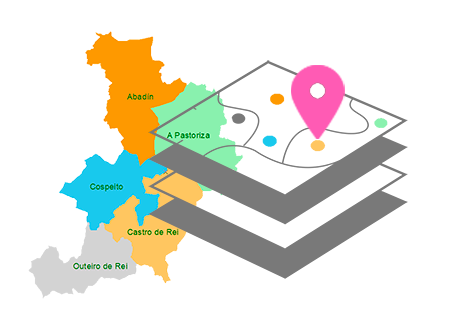 In Baltar we also find the Castro de Sá and the cave next to the Miño, there is also a recreational area next to the river, and a walk to the Anllo mills. In the tunnel leading to the water near those mills many Republicans were hidden during the civil war. 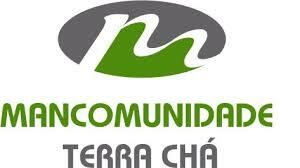 Approval Year: 2011 Access: From the N-640 take the detour towards Fomiñá (O Salvador) by the LU-3001. Length: 12.6 km. starting point / arrival: Fomiñá (O Salvador) / Baltar. Travel: Recreational Area in Fomiñá, slopes of the Miño river, Church of San Salvador de Crecente, Castro de Sa, Baltar Recreational Area. Difficulty: Low. Duration: 4 hours and 15 minutes. 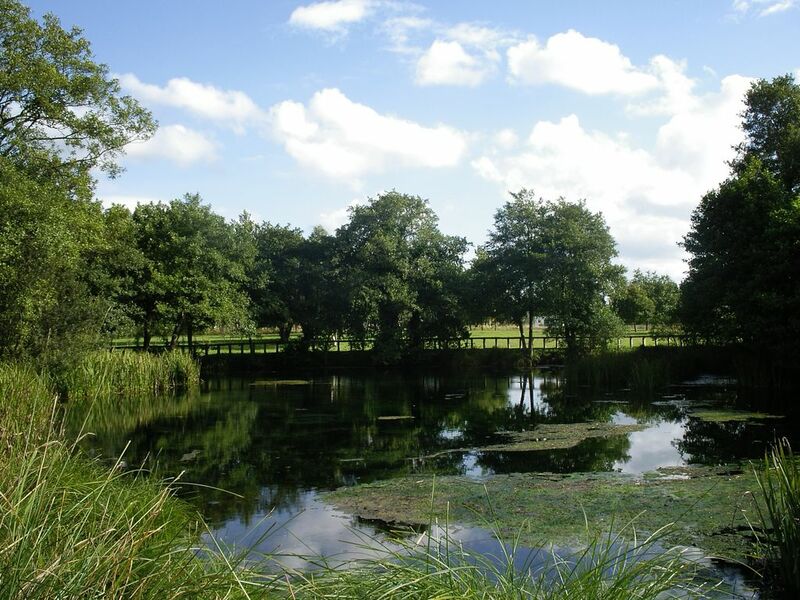 Right after Meira, the “Lagoa de Fonmiñá” is located in the neighboring municipality of A Pastoriza. In this small lagoon of 350 m2, of a karst origin, groundwater springs that descend from the mountain emerge, coming to the surface as the first waters of the Miño river . Next to the upwelling, to corroborate the birth of the “river father” of Galicia, there is a sculpture dedicated to “Deus Breogán” by Magin Picallo and Manuel Mallo in 1969. This stone cross is located in a unique natural space, on the top of mountains known by the name of “A Farrapa” and at the point called “O Fiouco”. It’s very original because of its building and the surrounding environment. It seems to serve as a framework or boundary between the parishes of San Bartolome de Cadavedo (Pastoriza) and San Pedro de Argomoso (Mondonedo) and has spectacular views. Every year since 1976, the Campo do Oso (Mondoñedo, Lugo) is the setting of “A Rapa das Bestas”, an ancient rite and the first to open the different “curros” taking place in Galicia. 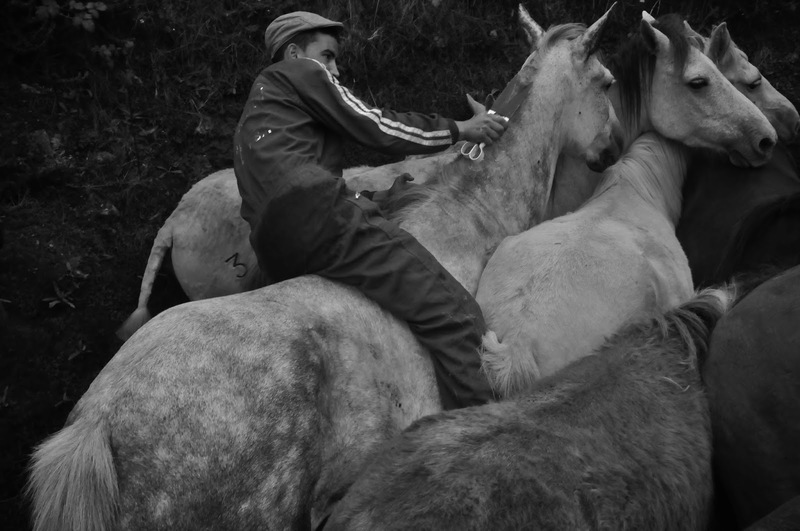 It is one of the oldest customs of the Galician Community, in which man and horse end up measuring their strength in a melee.